Fadon Ingeniería, S.L. is an engineering company based on the experience of more than fourty five years of Civil Engineer Santiago Pérez-Fadón, in the company of engineering Euroestudios and the construction company Ferrovial-Agroman. The company began work on 01 January 2016 and is totally independent, so it can work for any of the actors in the sector: Administrations, Engineering Companies or Constructors. Santiago Pérez-Fadón Martinez: General manager. College of Engineers of Roads, Channels and Ports (Civil Engineers Spanish). He has different positions in various legislatures and he has belonged to several of its committees. Association Engineers of Roads Channels and Ports. Scientific-Technical Association of Structural Concrete (ACHE), he has been vocal of the Board of Management in various legislatures. He has belonged to several of its work committees. Concrete International Federation (fib). He has belonged to different commissions on different legislatures. Highways technical Association (ATC). Spanish branch of International Permanent Association of Roads Congresses (PIARC). Spanish Association of the Road. (AEC). Honor Medal of the College of Roads, Channels and Ports Engineers (Spanish Civil Engineer). Honor Medal of the Structural Concrete Scientific-Technical Association (ACHE). Honor Medal of the Spanish Association of the Road. (AEC). Icarus Award 2017. For all his bridges projects during professional life. Bridges Department of the Engineering School of Roads, Channels and Ports of La Coruña. ALE 2016 Award to all professional life. AWARDS TO SOME OF HIS PROJECTS. Agustín de Betancourt 2003 Award for the best public work. Arch of Los Tilos, La Palma Island, Canary Islands. Innovation Award of the community of Madrid 1999. For bridge of composite segments (Concrete and Steel) over Nacional II. Construmat 1997: Civil Engineering Award. Ricobayo Composite Arch, Zamora. Construmat 1993: The construction process. Launch lintels, viaduct Benalmadena, Malaga. International Award Puente de Alcantara 1988. The Cruzul viaduct. Becerrea, Galicia. Construmat 1987: Specific Mention: Bridge to Arosa Island, Galicia. Many conferences on bridges and highways, in several institutions of roads and bridges. Many publications in magazines of the Engineering Sector. Annual conferences of Bridges in the School of Engineers of Roads, Channels and Ports (Spanish Civil Engineer) in the School of Madrid. 1971. 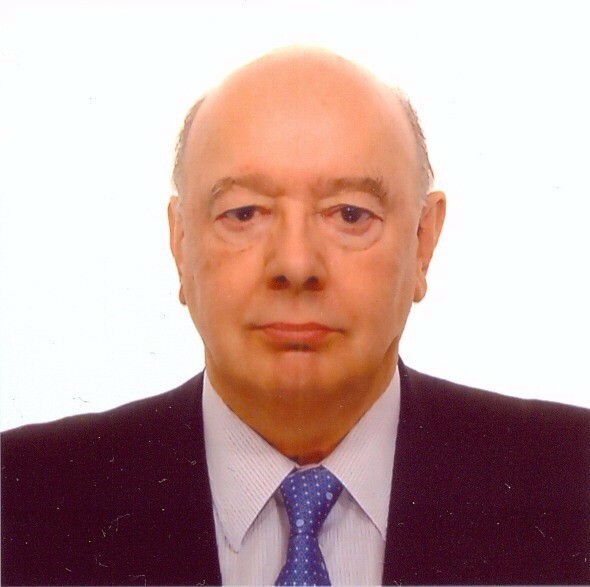 Assistant Professor of Ports in its origins between 1971 and 1973 at the School of Engineers of Roads, Channels and Ports (Spanish Civil Engineer) in the School of Madrid. 1971.